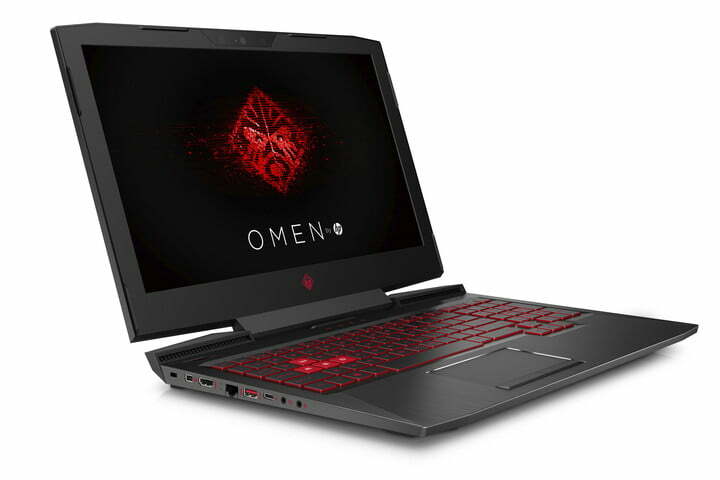 Last year HP's new Omen-X desktop was introduced which was cube-shaped.Now the company is going to release a new gaming laptop which will have Nvidia Geforce GTX 1080.HP Omen-X branded desktop made profit for the company thus HP decided to launch its new first Omen-X gaming laptop which is for gaming enthusiasts.It comes with thermal to support overclocked CPU's and comes with factory-overclocked GPU. The expected price of this beast is approximately Rs 1.47 lakhs(approx $2,299).This laptop will be made available on HP's website from november 2017.This gaming laptop comes with a"Omen command center software to custom tune and push hardware to the limits,it also has ability to manage CPU and RAM overclocking". This laptop comes with seventh-generation I7 processor,factory-overclocked GPU and screen freaquency upto 120Hz and upto 4K resolution.This also consists of SSD to give a ultra fast boot .It also comes with a "integrated vapor chamber" that has 4 pipes which will improve the heat transfer from GPU and CPU to the rear corner mounted radiators.As it is a high end gaming laptop it consists of a RGB LED backlit mechanical keyboard. E-sports is fastly growing and to support newcomers the company has launched this laptop.This laptop aims mainly on gamers.The company also added that they will give gamers a whole new experience with this upcoming laptop. Since a large portion of the gamers are both cost and execution cognizant, the vast majority of them select to construct their own gaming PC than purchasing an inherent gaming PC. Another incredible component that can be utilized outside of gaming.
. Afterwards, you never know! Thank you so much for this new faster edition.This is really an amazing and attractive post. I appreciate your posted wonderful photos. Thanks for sharing such an interesting post. go right here. With such a large number of equipment parts accessible on the web, why not improve your memory, arrange a second video card,check or even move up to another processor to help stay away from these circumstances? It is profoundly prescribed that a parent or watchman must not enable a youngster or adolescent to enjoy into perilous,unblocked games sexual situated or against social gaming since these subjects have a capacity to invigorate the youthful personalities in an antagonistic way. You must choose a laptop which has high-end graphics and high-end processors if you don't want to be disappointed. Unfortunately,unblocked clicker heroes in most cases, all this high-end performance will come at a premium and you will have to pay more for a gaming rig.